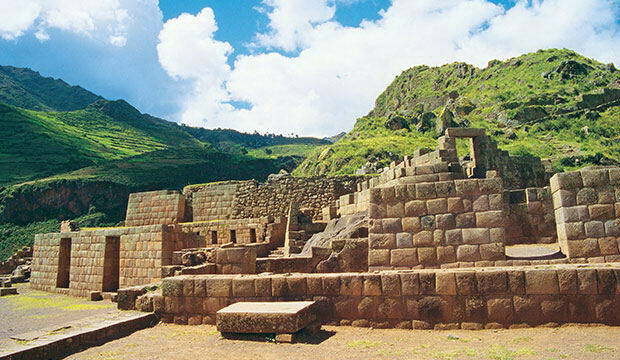 At 9680 feet above sea level and 20 miles from Cusco on a paved road lies the village of Písac, a picturesque place near important archaeological sites. The main square is a lively spot, full of color and with various handicrafts for sale. This town is known for its astronomical observatory. 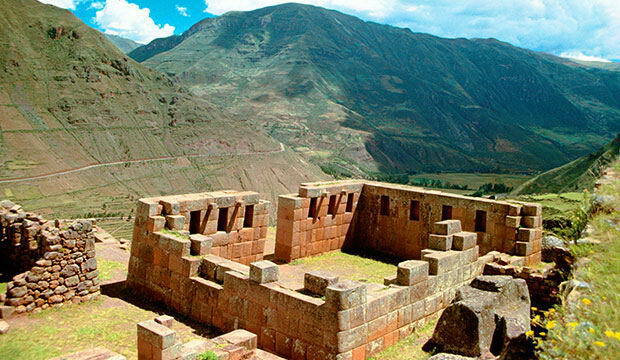 Its structures have huge walls erected with impressive blocks of polished and perfectly symmetrical stone, showing the complete mastery and architectural prowess of the Incas. 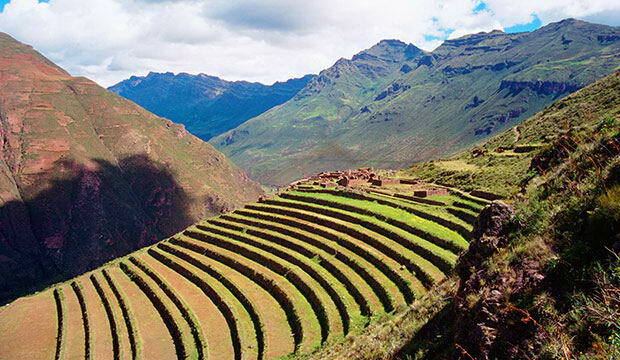 The Pisaq route is the entrance to the Sacred Valley of the Incas. 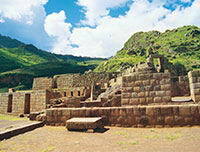 The route passed through a beautiful cluster of archaeological sites called the "old town." These fortresses were constructed to guard the capital of the empire against attacks from the peoples of the Amazon. 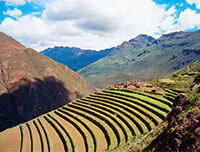 To reach it, you have to climb a hill where you can see magnificent terracing. 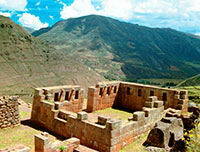 Here you find walls similar to those of Korikancha, as well as towers, which are sun dials, or intihuatana. Apart from the old town, there is also the "modern town," where traditional mass is held in the Quechua language inside colonial-style churches. 13 miles east of Písac is Chayhuatiri, a hamlet of weavers who dye their clothes with native plants. Altitude: 9,678 feet above sea level. Distance from the city: 20 miles.